COLOR(S): Black with bright, symmetrical russet and white markings. They have white at the toes, tail tip, chest and blaze. The tan always lies between the black and white. Red tricolors do occur but are not acceptable. Mississippi is a great state to find a large selection of puppies for sale. Here you will find the greatest selection of AKC puppies for sale along with Specialty and Hybrid breeds. We offer the greatest selection of breeders in Mississippi. 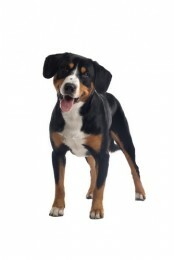 Take a moment and browse all the dog breeds we have available in Mississippi.